We value your input! Do you have a question or comment about the website? 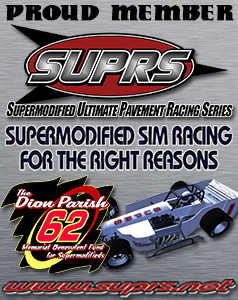 Would you like more information on supermodified racing? Would you like to purchase a photo found on the site? Do you have a suggestion about content on Wing Side Up? Do you have a burning supermodified related question that needs answered? Leave your contact information below and we’ll get back to you withing 48 hours. Thank you for visiting Bob Gangwer’s Wing Side Up on the World Wide Web! As of last night at about 11:30pm that’s what I was told by a driver that was at the MSA meeting. I don’t see it happening as there are a couple of cars of ISMA board members that wouldn’t fit the rule and I hope that calmer senses will prevail. My personal opinion is that it’s a witch hunt over a new car that has proven to be superior and this is an easy thing to tech as opposed to shocks or ignition etc, etc. I’m all for cost containment to a degree and helping the little guy, but how bout looking at tire cost, engines that are out of control and good scheduling? Making rules that cost racers money and arguing that it’s going to save them money always seems like smoke and mirrors to me. Thanks for stopping by. Traction control,tires,mags. We had a mediocre motor and had a second.third and 2 wins. Thanks for stopping by Wayne. Best of luck to you guys in 2015. Save us some Apple Pie! the feds were looking for him! glad youre back, hope to see you in delaware if not oswego.